Being one of well-reputed software development company in Pakistan, Suave Solutions is thriving beyond the expectations of its clients since 2004. Mainly, we offer custom Mobile and Web Application Development services. 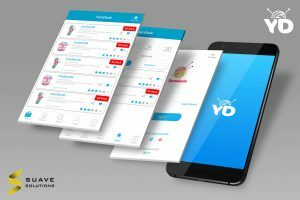 We believe to follow the latest trends of app development to make your products and offerings highly responsive and cost-effective. As we are also into web development, graphic designing, software development, e-commerce solutions, game development. We are here to serve you with professional work at very affordable prices. We create sophisticated responsive websites & web apps in economical rates to help improve your online branding to empower your business. 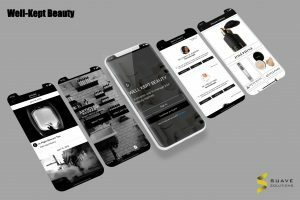 We create professional, interactive mobile apps that provide genuinely useful & engaging opportunities along with your overall brand positioning in mind. Do you have interesting ideas in hand and looking for a technical team. Well, we have the answer to all of your software team outsourcing needs. We focus on building a lasting relationship with clients through our quality work, well-defined processes and agile software methodologies. We provide app development services in Lahore, Pakistan and Globally by ensuring the process of changing ideas into innovations and then success. The methodology is based on project nature, size, requirements and financing, which is achieved using the best of Agile and SCRUM techniques. Drive growth by adding worth to your targeted audience, engage more visitors online and converting them to paying customers. Our management identifies all the risks involved in a project prior to its development hence ensuring a timely delivery and a successful project. We offer quality app development services at very affordable price. Over 200K hours of design and development having rolled over 150+ apps to date, we specialize in crafting Mobile apps, Mobile Games for iOS, Android and Windows smart devices. We deliver end-to-end custom products that encircle the complete range of iOS devices, including iPad and iPhone app development. Suave is focused on creating Android apps with a broad range of features that enables our clients to gain unprecedented business value. .Net compact framework and SQL server mobile edition have only helped us to excel in Windows Mobile Application Development. Here are some of our carefully crafted software products for our esteemed clients. 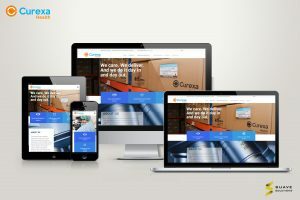 Showcasing some of our web and mobile application, bespoke software & other custom developed applications. Each of our delivered projects has resulted in our partners in achieving and exceeding their goals with the help of latest technologies. Savesy is an app to help solve the problem of distracted driving. To do so, we have partnered with major retailers and restaurants to provide consumers with rewards for each “safe” mile they drive. YarnDealz is an e-commerce shop for yarns and handmade patterns for winter clothing. It provides sales and product availability information against different stores. Krav Maga Alliance is composed of Krav Maga schools, instructors and students dedicated to improving themselves. 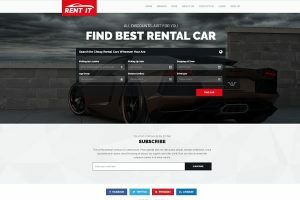 Luxury Auto Hire is Rental System website. Book your car quickly and easily online.Pick up the car at your destination. Music app for kids has engaging features to let them try the skill of their fingers and playing amusing tunes on different musical instruments. 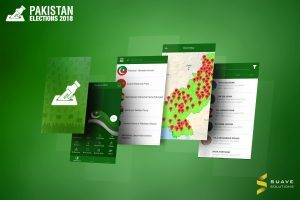 Elections App 2018 is to make you fully in-touch with the latest happening and updates of general elections. We’ll help you take control of your skincare regimen one product at a time. You’ll know what works best for your skin based on your needs not surveys or reviews. Krav Maga is the official martial art and reality-based, self-defense and defensive tactics system of the Israeli Defense Forces. 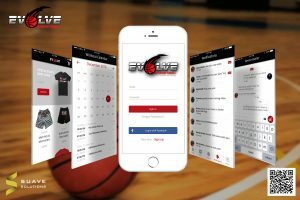 Evolve Basketball App is an all in one basketball training app. It is a complete tool that allows a player to become better in every aspect. Drop in is an application that lists stores across Kuwait based on their relevant location. As one of the best software houses in Pakistan, Suave Solutions is boasted to take the online businesses of hundreds of organizations on the level of success they deserve. We develop and retain the trust of our clients in our expertise resulting in a long term and lasting relationship.